What is my blog about? A Canadian who is into Anime, travel, Ferrari, and lives within the national capital – Ottawa. (Link – MySite) – My treat for your visit! I’m Â just a guy who likes blogging, sharing images about my travels, Anime, and my own city. I simply like taking images (in various qualities) just because remembering things can only get you so far. You can’t really share memories, but images and videos can assist with that. Why share such? Well, there are like minded individuals out there that may, or may not, like what I share. I also go around taking pictures of figures, cosplayers, cars, and anything I deem interesting. I basically take 1-3 figures and head out on a little “adventure” (photoshooting session) trying to find the best location to snap the best images I can within that location. It’s all spontaneous, meaning image quality isn’t alwaysÂ guaranteed. My blog mascot is that of an Arctic Fox named Varkitsu. He can shapeshift into both human genders and borrows strongly from the Japanese Fox spirit (Kitsune) myth. Though not seen visually on my blog/site yet, I’m attempting to bring him out more than Renge. Sadly, I don’t have the skill, nor the resources to do that at the moment :(. You may have also noticed many Â articles and images featuring a girl with Fox ears – Shinki Renge. Renge is a Busou Shinki (Armament God Princess), or a battle robot in the near(ish) future from Konami Japan. Her current role is currently that of shrine fox spirit maiden and a proxy-mascot taking over Varkitsu. I also wanted to shed more light on Ottawa and it’s Anime atmosphere. Sadly, many people aren’t true to their own feelings and thoughts so it’s a bit hard getting a true gauge on how strong Anime is within Canada’s national capital – Ottawa. I shall be trying my best in sharing the best that my area has to offer in both Anime and various festivals! – Anime – Figma, Busou Shinki, First Glance Reviews, Â Gundam model kits, photo-shoots, Main Figma Reviews (Something I’m planning for the spring and summer season of Canada), Top 7 bi-monthly Anime favorites, and certain statue figures. – Canada & Ottawa – Images, Events, and the scenery within this great country. – Local & foreign Events – Ferrari Festival, Tulip Festival, Greek Festival and anything that may be of interest. Sometimes may show events outside of Ottawa, rare occurrence. – Ferrari – Events, games and models. – Travel – Various images from Europe and Cuba! You shall find everything Ottawa Anime related and anything that may be of use to you. I’m currently treating my forum as an archive and shall be expanding on anything Ottawa Anime in the future. Make sure to link these back here (To the blog’s index or main site). – Your portal to Japan. If you made, or will make one of your own, then do let me know and I’ll edit it into the above space ^. I shall be linking this blog article on my homepage, which means I shall be editing this article with new banners and such. Don’t be shy and leave a comment (except for spam bots). – Homepage – Main page (obviously) which contains a newer and better themed, compared to that from late 2009. It still needs polishing but its looking better with each edit. – Forums – Just in case people want a place to talk about various stuff. I want to send out an invitation to anybody within the Canada, Ottawa region to go – here – just to see how many “otaku’s” (positive manner) we have in the Nation’s capital. Don’t be shy and invite anybody you know from who may like Anime. – Image Gallery – From Ottawa to Montreal and Europe. I’m still trying to fine tune the page and what images I want in it so you shall be seeing it shift every now and again. I shall be adding the Tulip Festival into the mix one the event is over. – Figma Gallery – A Japanese made “action figure” meant for high quality and highly creative posing. I attempt to add my own creativity into the Figma brand images. – Naru2u Anime convention 2011 (possibly). – Figma comics (more to come). – Main figma reviews for website. – To spawn a secondary domainÂ strictlyÂ for Canadian Figma and Dollfie users in a less forum like manner. – To get a fox and/or winter soviet cosplay in a mixed Soviet/Canadian/Fox theme. 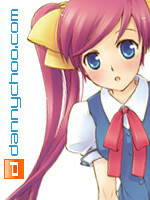 – To hold some form of actual figure.fm/dannychoo.com meet-up. – To blog/video about Ottawa Senators NHL @ Scotia Bank Place. – More focus on my Blog mascot instead of my silly Shinki Renge.